In Hourly Calendar wrong calculation of price if I use filter that change price. For example. Till 21:00 price – 600uah, after 21:00 – 750uah. 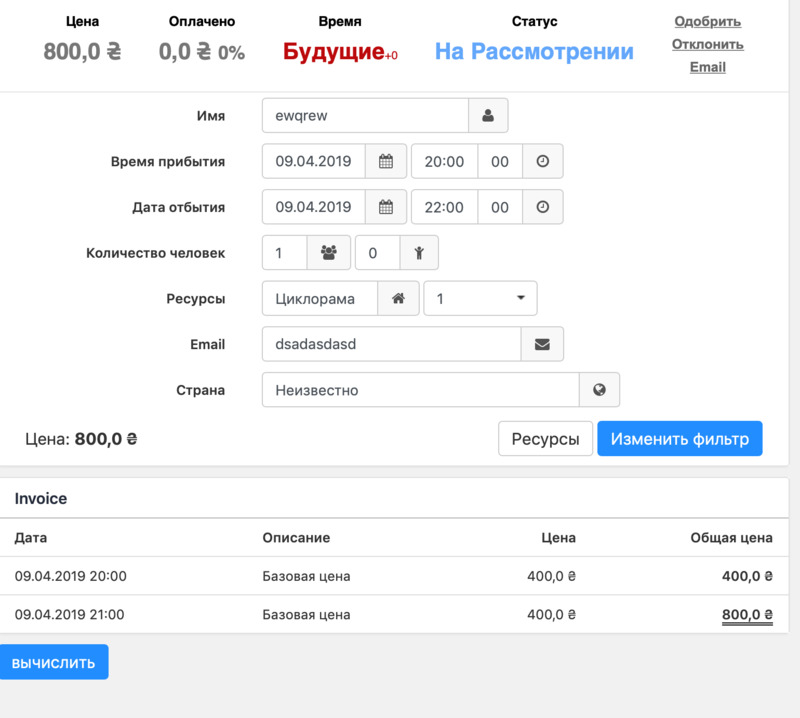 But when booking from 20:00 till 22:00 plugin shows price 1200uah. Make the reservation and edit it as admin. There you can see how the calcuation comes together. Then change your setting and filters, press the “Recalculate” button at the bottom of the reservation and see how your changes apply. Hello. When create reservation in console. After “Recalculate” I had same price. The filter says “when arrival is between 00:00 – 07:00 or between 21:00-23:00” then the price increases by 150. When you reserve at 20:00 the filter won’t apply. Edit your filter to change the base price instead. Those filters get checked for and applied for each billing unit.